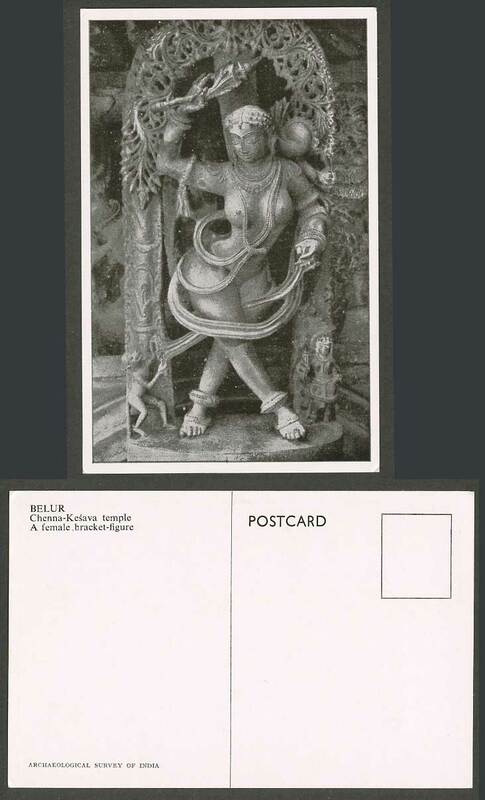 Vintage Old British Indian Postcard. India, Belur, Chenna Kesava Temple, A Female Bracket Figure. Carvings Sculpture Statue.